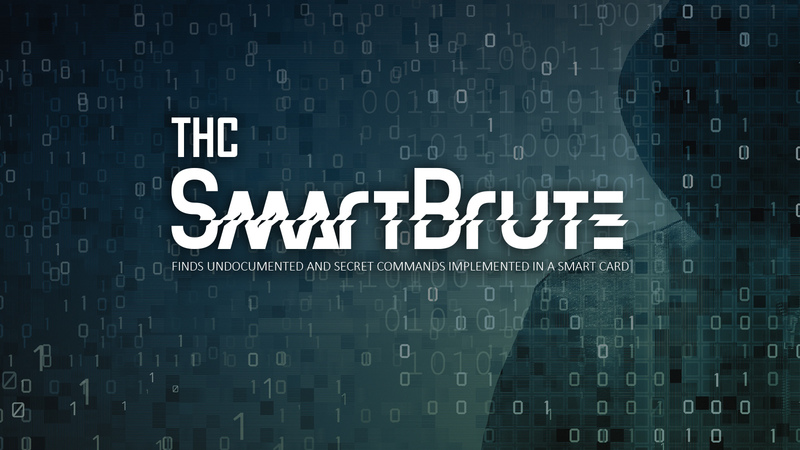 THC-SmartBrute is a tool for finding undocumented and secret commands implemented in a smart card. An instruction is divided into Class (CLA), Instruction-Number (INS) and the parameters or arguments P1, P2, P3. THC-SMARTBRUTE iterates through all the possible values of CLA and INS to find a valid combination. Furthermore, it tries to find out what parameters are valid for a given class and instruction number. You need a PC/SC compatible smart card reader that is supported by the PCSC-LITE library. Edit Makefile to your needs and run make. After that the classes 0x00, 0x80 and 0xA0 (GSM) are tried first. the user defined with --cla and --ins . For parameter p1 the value 0x00 is assumed. Google Chrome may block the download (it is false positive).